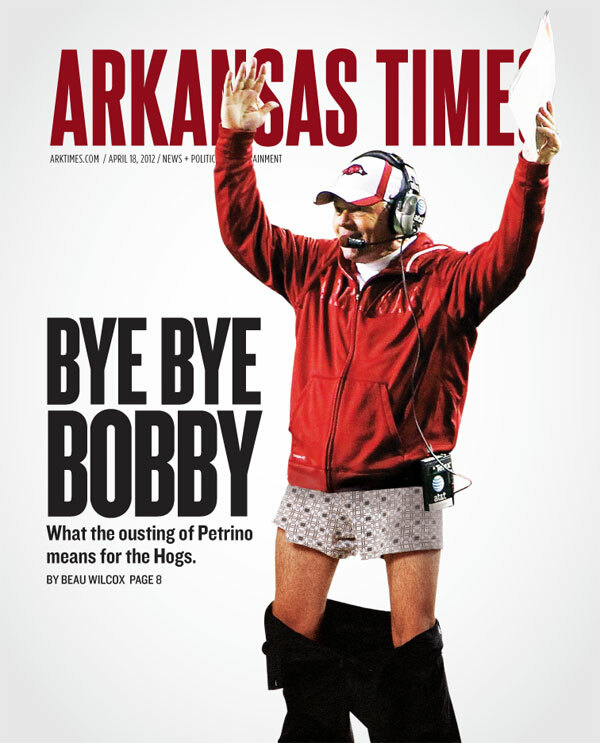 Arkansas Times — April 18, 2012. Photo Illustration by me. This cover drummed up quite a response. I’m not going to say a lot about it, because there’s really not much to say. It was pretty basic, from a design standpoint. I found a couple of source photos, cut Petrino’s legs off and stuck in some bare legs. 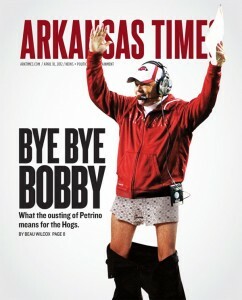 It was quite the literal image of what had happened to Petrino, he was caught with his pants down. I figured there’d be some response, but was surprised by the amount it received. Honestly, I wish I had had time to prefect the illustration a bit. But, I knew it was going to work as is. We wanted to leave it simple and if I had too much time to play with it, it might’ve gotten needlessly complicated. I think the cover did it’s job. And that’s really what I want. My goal is to communicate the story pretty quickly. This may be the most successful cover I’ve ever done where the story is communicated right away.